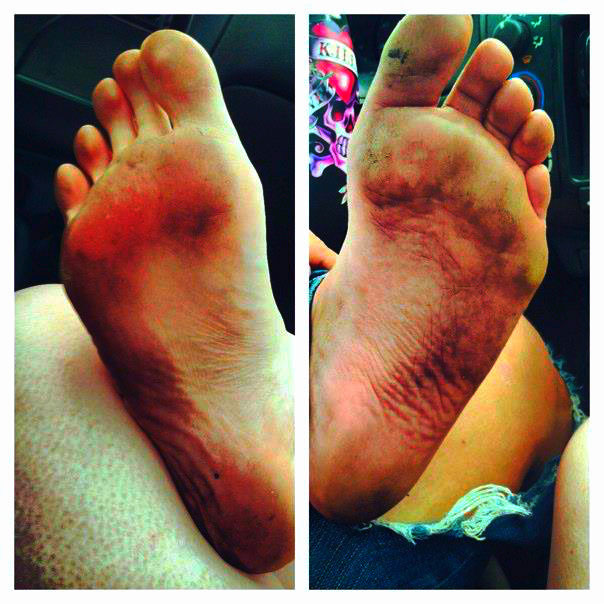 Today I was inspired to go the day without shoes to raise awareness and money for Toms. Toms is a company that would match every pair of shoes purchased with a pair of new shoes given to a child in need. One for One. Today April 10, 2012 Jacksonville State University held a campus wide awareness down for One for One. This event consisted of walking around everywhere barefoot to obtain a better understanding of what children without a way to protect their feet have to endure on a daily basis. As the day of fun and festivities ended it was time for the long walk around University/Trusties Circle, barefoot of course. This is when the reality kicked in. With the asphalt almost unbearable and the rough rocks rubbing blisters on the balls of feet, it was a real challenge to make it to the finish line. This picture was inspired by today’s events. I used Photoshop.com (online version) to increase the contrast, brush the toenail polish glair, and made the blues really pop. I found this assignment exciting and what a great way to involve my experiences of today in my blog. 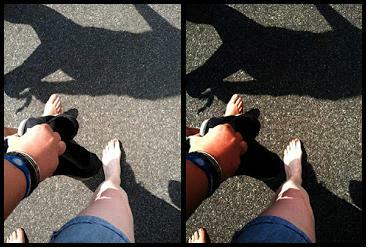 i love your pictures ashley and the way you change their contrast and brightness to add visualization to them. it looked like your project was exciting and i hope you enjoyed that day. great post ashley.